​Based in Manchester I focus on the built environment and sustainability and I recently completed a deep retrofit of a Victorian Semi in South Manchester. 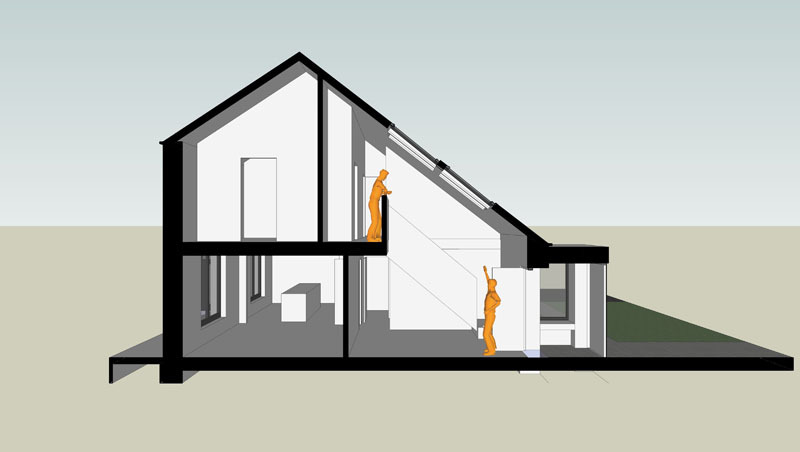 Earlier work included plans for a complete refit of Alan Road involving the researching of systems and suppliers of heating and ventilation (with options for Passive Stack, PIV, and MVHR); wood burning stoves; external wall and floor insulation; high performance windows and doors; and solar PV. This followed the successful implementation of energy saving measures at Park Road including roof, wall and floor insulation; high performance windows and doors; a new heating system; and solar PV. In the above projects I have worked alongside architects: Gibson Architects, Phi architects, Ark Design & Architecture, Marsh Grochowski. On 24 January 2019 I hosted a session on Thermography, run by Diane Hubbard at my home in Didsbury, outlining the measures taken to reduce energy and CO2. Through Carbon Co-op and with an architect from URBED I organised a two part course in Summer 2015 which was repeated in Autumn 2016 to enable local residents to act as Retrofit Advocates. The training was designed to comply with the Carbon Literacy Standard and all participants were eligible for Carbon Literacy Certificates. Over thirty people visited Alan Road on 25 May 2014 as part of a programme of the Carbon Co-op and Actionable for Sustainable Living open eco-house weekends. In the past six years I have provided advice on retrofits to householders in London, Nottingham, Stockport and York with a wide range of housing types: Victorian and Edwardian terraces and villas, one converted into flats; interwar semis; and a 1970s terrace. I have also attended seminars on co-housing, energy and elderly people, solar PV, as well as visiting energy efficient houses in Lancaster, London, Manchester and Nottingham; have hosted a community workshop, a community group discussion on sustainability and was a speaker at a meeting of HoTT, Holmfirth Transition Town. In October 2017 I presented at a Carbon Co-op get together at Leaf, Manchester. ​Much of my past work has concerned improving physical environments, in particular museums and other public spaces, as well as domestically, and this has increasingly involved reducing environmental impacts. My consultancy practice had operated from 2007-2010, and chiefly involved projects relating to partnership working, and digitisation in the cultural sector.